Do you keep lists of places you want to visit but haven’t yet? I do. Some of them are on there because of a book I read or a painting I love; others have a dessert that is just calling my name (you had me at guten tag, apple strudel). There are mountains I’d like to climb and churches where I’d love to pray. Until recently, Honduras wasn’t on that list. I knew little about it, and what I did know was not happy. Drug gangs. A high murder rate. Corruption. Violent crime. But then I saw this photo. Carrots happen to be an absolute favorite form of sustenance around my house – both of my boys love them and eat them every day. 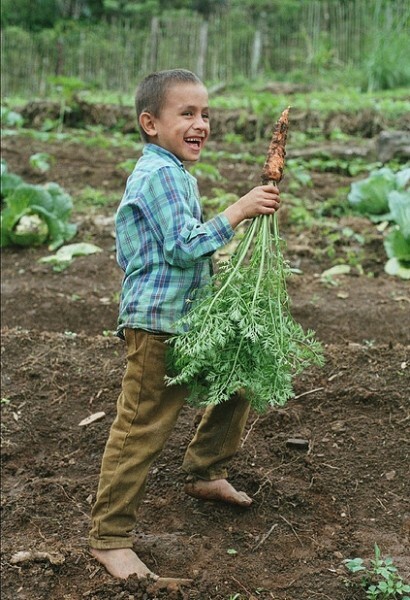 I thought about meeting this boy with his joyous expression and hand full of the harvest. I looked up Honduras on the map. And I learned that this mountainous country was once home to pristine cloud and tropical forests, now in peril, along with many of its citizens. Just like you, farmers in Honduras want to support themselves. They want to grow their own food to eat and to sell. They want their children to be healthy and to have a chance at a better life. But the problem is that many of them don’t have the tools or the knowledge of farming techniques to grow sustainable crops that will nourish them and their communities. They resort to slash-and-burn practices, which are not only destructive to the mountainous cloud and rain forests they live in, but also deplete the soil to the point where it is no longer arable. That’s where Sustainable Harvest International (SHI) comes in. Since 1997 they have worked in Central America to help family farmers tend their own land. Working with indigenous charities, they use a phased approach that helps the Hondurans learn to help themselves. Their strategy is long-term, involves key members of the communities they work with, and empowers individuals and communities to make their own choices and decisions. I’m proud to announce that in 2014, Passports with Purpose, the annual travel blogger’s fundraiser will be supporting SHI. Between now and December 17, 2014, every $5000 that we raise we will help one extended family in Honduras learn to farm for five years. During those five years SHI will train community leaders, share tools and techniques, and leave the farmers with everything they need to farm sustainably now and in the future. You can learn more about Sustainable Harvest International and the work they do on their website. There are fewer places I know where people care more about sustainability, farming, and growing local produce than in Vermont. Which is why I’m so happy this year that my Passports with Purpose prize hails from the Green Mountain State. 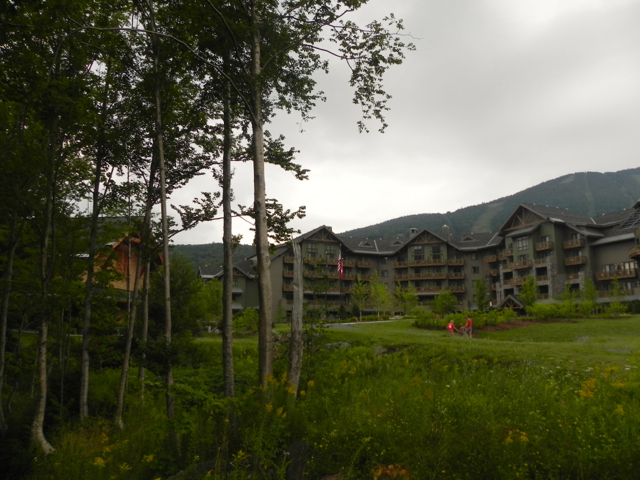 I’ve been lucky enough to stay at the Stowe Mountain Lodge with my family twice – once in the summer and once in the winter. It’s dreamy no matter what the season. 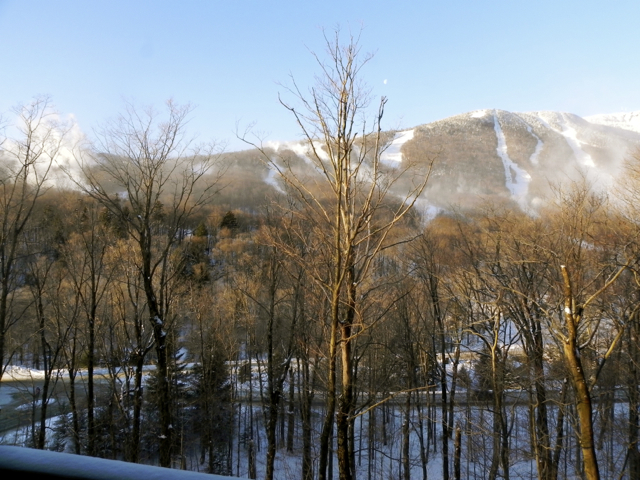 For starters, it overlooks Mount Mansfield, Vermont’s highest peak. There’s nothing I don’t love about this luxurious hotel. 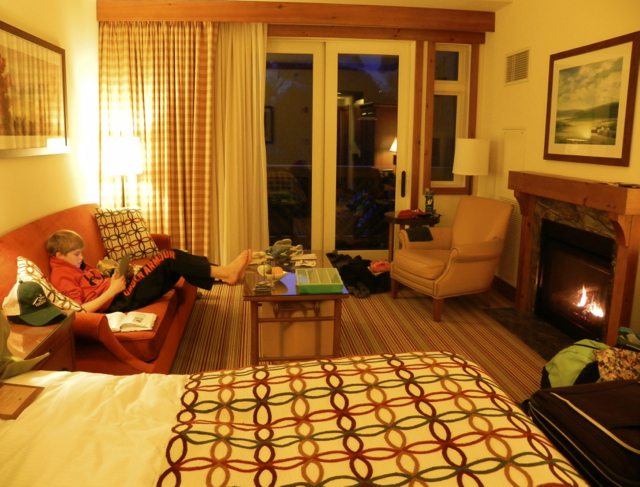 I love the soaring lobby, with its huge fireplace. I love that it is decorated with the creative work of Vermont artists – even in the in-room kitchens, which are stocked with pottery from Simon Pearce and Bennington Pottery. 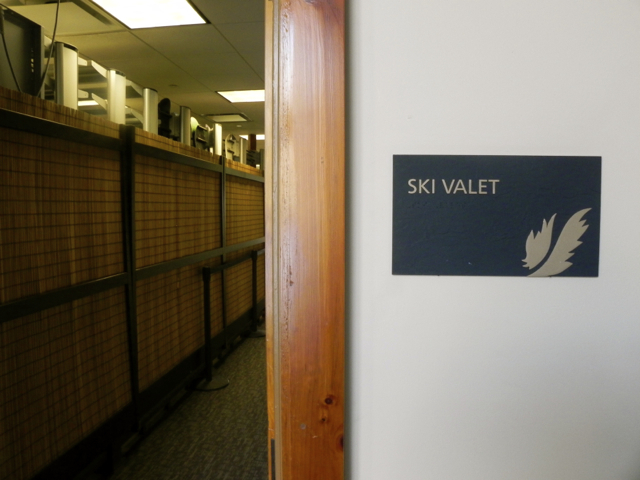 I love the Ski Valet where they warm up your boots before you go out in the cold. I love the heated pool, which is open year-round. And I love that even tween boys can get in on the act in the hotel spa by enjoying a “Chillax” session designed just for them. 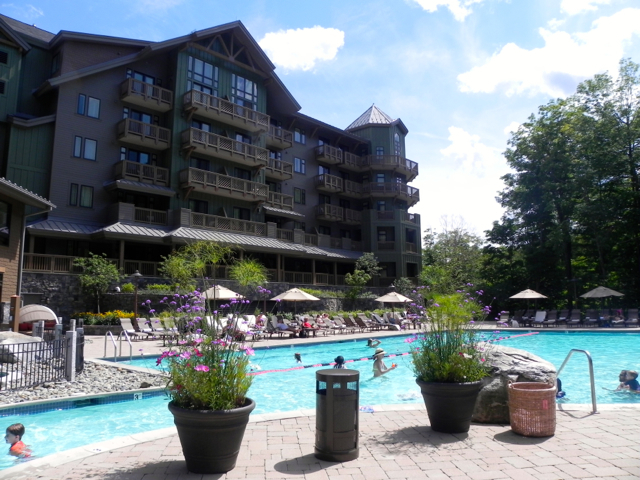 My Passports with Purpose prize is gift certificate that’s good for two nights in a Timberline Studio – perfect for a family of four as it comes with a pull-out sofabed. Or maybe you’ll want to use it for a kid-free getaway. I’m so grateful to Stowe Mountain Lodge and Destination Hotels and Resorts for generously donating this prize. And if a luxury hotel stay in the mountains isn’t where it’s at for you, no worries. The Passports with Purpose prize catalogue offers many other options from luggage to tours to beach vacations. Every $10 that you donate gives you one chance to win a prize of your choice – so that if you bid $100, you can enter to win one prize ten times or get one chance to win ten different prizes. It’s up to you. To browse the other prizes and donate for chances to win, please visit the Passports with Purpose prize catalogue between today and December 17, 2014. And if you feel like helping even more, you might use one of those buttons up at the top of this post to spread the word. Since our fundraiser takes place entirely online, we look to lots of social media love using the hashtag #PWP to get the word out. And I’ve now added the mountains of Honduras to my list of peaks I’d like to climb with my boys – maybe we can even share a carrot or two. Want to learn more about Passports with Purpose and the work we do? Passports with Purpose has been raising money online for different charities since 2008. I’ve been a blogger with the #PwP effort from the beginning, and have been a member of the fundraiser’s board since 2013. In case you need them, here are five great reasons to donate to Passports with Purpose in 2014. 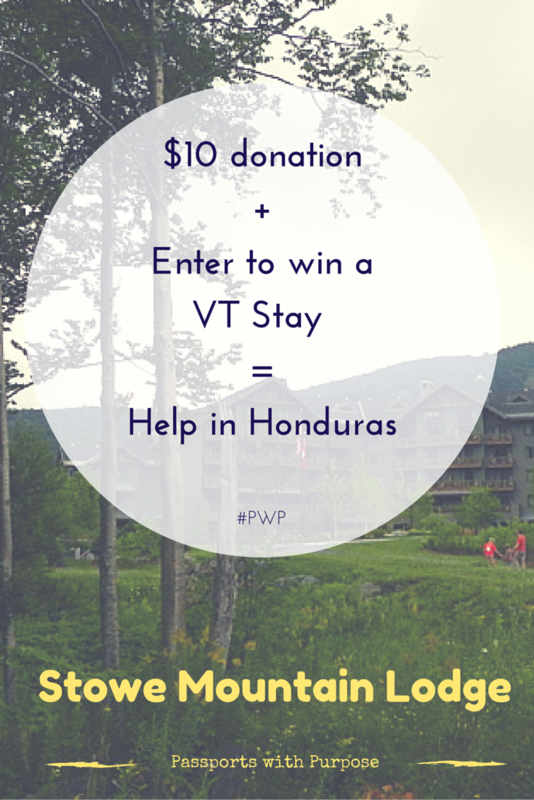 One hundred percent of your donation, minus PayPal fees, goes directly to Sustainable Harvest International. Our fundraiser wouldn’t happen without the help of dozens of travel bloggers, generous donations from the travel industry, and our sponsors: TBEX and HomeAway. We can’t thank them all enough!